The Amazon Web Services Blockchain Templates offers an easy and fast way to deploy and create secure blockchain networks by using the open source frameworks. 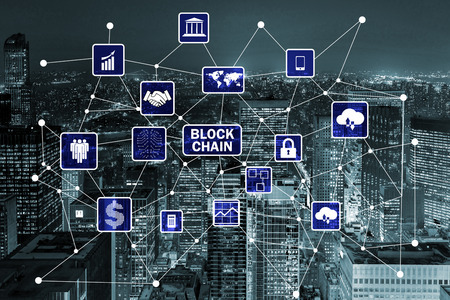 The blockchain is a technology allows you to build applications where various parties can record the transactions without any requirement for trusted, central authority to make sure that transactions are secure and verified. Blockchain creates a peer-to-peer network where each participant has access to the shared ledger where the transactions are recorded. Such transactions are by independently, designed and immutable verifiable. You can deploy Ethereum and Hyperledger Fabric Framework with AWS Blockchain Templates by utilizing the Certified and managed AWS CloudFromation Templates. AWS Blockchain Template will enable to concentrate on building blockchain applications instead of spending time and effort on manual configuration of the blockchain network. The blockchain framework is deployed by the AWS Blockchain Templates on the Amazon Elastic Cloud Compute or Amazon Elastic Container Service instances operating docker. The Blockchain network will be created on the Amazon Virtual Private Cloud which will then enable to use Virtual Private Cloud subnets and network Access control lists. By using the AWS Identity and Access Management the customers can assign granular permissions so to restrict which resources an Amazon Elastic Container Service or Amazon Elastic Cloud Compute instances can access. You can click here to get started with AWS Blockchain Templates. There will no additional charge for the AWS Blockchain template by only paying for the resource that is used to operate blockchain network. You can deploy or create blockchain networks in any public AWS region.